Playwrights @ TAG is a fun filled non-competitive festival providing members with the chance to experience and enjoy the thrill and agony of writing a script and see it performed for an audience. No prior experience is necessary just a desire to write! No prizes or adjudication will occur. All in fun! This will be our fourth installment of Playwrights @ TAG.For some background… a few of the plays from the Playwrights @TAG Festival have gone on to perform in other festivals: The Liverpool International Theatre Festival, the Boardmore Theatre Festival and the Halifax Fringe Festival. If you’ve always wanted to try your hand at writing or have an idea for a story and want to see it on stage, don’t hesitate. Give it a try! The theme of your play. For example: a comedy based on the challenges communicating with government, or serious drama dealing with financial stress etc. A brief description of the key challenge in the play. For example: dealing with a failing cell phone during an emergency, or a deadline that has very serious consequences if not met etc. A description of the character(s) involved. An outline of a setting. For example: outside in a park or living room of parent's house. f you happen to already have a suitable script please submit a copy. TAG membership is the only prerequisite. Not a Member of TAG? Join the Theatre Arts Guild today. 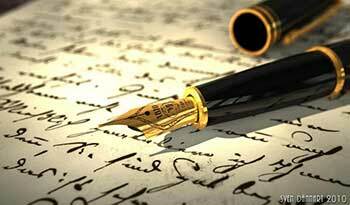 Collaborators that wish to enter should not exceed two writers. Keep characters to a maximum of 4 (doubling is okay). Technical lights and sound MUST be basic. Set pieces MUST be few and simple. NO LARGE SET CHANGES. Auditions can be held if so desired by directors or each chosen play can be pre-cast by their team.